I had hoped to show you my completed Shetland Sampler Cardigan today, but I'm still trying to get someone else to take a photo. Not easy with kids no longer living at home and a husband on the road. I may end up doing it myself after all. However, I've been honored with two awards, and I can share that with you. The first one is from MiniKat. 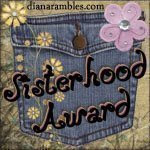 Don't you just love the idea of a Sisterhood Award? I am supposed to pass this on, but you will have to forgive me if I postpone that task. Reasons in a minute. 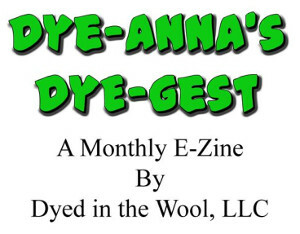 As a fiber artist and as a blogger, I always hope to be thought of as creative, so this is an encouragement. Again, I will schedule passing it on to sometime in the future. Why you ask? Well, shortly after I was elected president of Western North Carolina Fiber/Handweavers Guild, we had a budget crisis in the form a humongous rent increase. We were not given advance warning, and to make matters worse, it happened during our winter break when there are no regular meetings and no regular communication among guild members. Consequently the past four months have been something of a scramble to get that information out to the membership, research alternatives, figure out what to do about our library, get all that information out to the guild, and prepare for a vote on the issue. Last Saturday, we voted on a new location to meet. The overwhelming majority was to move to the Folk Art Center in Asheville, NC. The FAC is already home to the Southern Highlands Craft Guild, to which many of our own guild members also belong. The mission and goals of the FAC is very similar to our own, and the atmosphere and ambiance is inspiring. If you've ever visited there, then you know what I mean. Happily, the FAC had already agreed to house our library, so meeting there makes it much more accessible to all our members. The next step is to work out all the details of changing locations and all that implies. This will keep me busy for quite some time; fortunately I work with an excellent group of folks, so this will be exciting work rather than drudgery. All these doings are also the reason why my kitty blogs are shamefully out of date. I am getting some weaving and spinning done though, and I'm thinking about my next knitting project. Socks perhaps? Congratulations on you numerous awards! You deserve many more for your wonderful blog. Good luck with the move! It sounds like a positive one. can't wait to see the shetland. 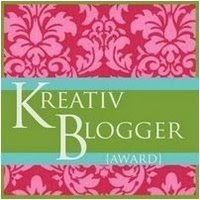 Such a great blog, congratulations on the well deserved awards. The move sounds like a change to be embraced. Have fun and best wishes for a smooth transition. Jacqui, of course I had to run over to your blog to remind myself of where you're from. Actually, just this year we've had several new weavers join our guild from your area! Our meetings will be the 4th Saturday of the month, starting in April. You should consider coming sometime. Red socks!! They sound so fun! Enjoy!! PS: Tripod for self-portraits....in a certain sweater....that way you can keep posing til you're happy, happy, happy with the picture! Congrats! I hope things go well with the move. What a wonderful place you are moving to! Congratulations! Congratulations on both your awards. If anyone deserves them you do. Happy to hear your guild found a new meeting place and hope the move goes smoothly. How fortunate for your guild that you have found *a* place. We are vagabonds - we have no historic buildings willing to house us all of the time. One guild meeting was at my house. When I tossed that out, I thought I was being funny and then it was real - fun but not adequate. Hope you're able to find a genuine home for your guild.